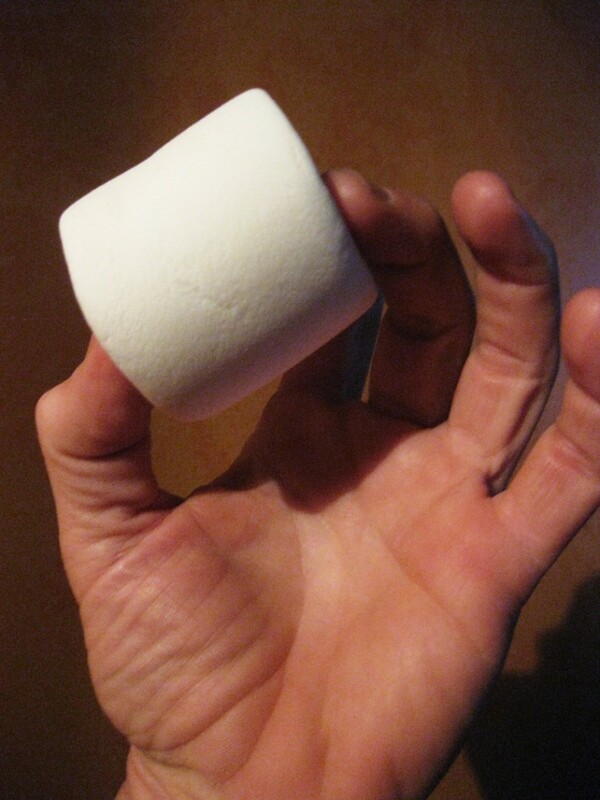 A famous experiment showed that children who believe an adult’s promise to have two marshmallows if they’ll wait a few minutes without eating the marshmallow in front of them are more successful later in life. Finally someone has raised what should be an obvious objection: maybe the less successful adults were children with bad parents and teachers, whose word couldn’t be trusted. That is, a possible common cause of adult failure and childhood marshmallow-scarfing is distrust of authority. They even performed an unsurprising experiment: the adults running it lie to the kids a few times, and then try the delayed-marshmallow-gratification promise. I’m not sure what we’re supposed to learn from this as it’s completely expected that people, even kids, won’t keep trusting in an environment where they’re repeatedly cheated. What’s needed is to quantify separate influence from ‘trusting adult promises’ vs. ‘having innate willpower’, which neither the original marshmallow setup nor this one can manage. The problem is merely in the over-confident interpretations of very coarse evidence. The VERY SMART SCIENTISTS write a nice hypothesis in their paper and it gets bandied about in the press, but really they need many more nuanced experiments (not just replication) before we should really believe their explanation. Robert Kurzban Are All Dictator Game Results Artifacts? When given a chance to split a $20 gift of poker chips in Vegas with the one person right next to them, if people are told they’re (both) in an experiment, 80% give at least $1 with the median being $5 (they keep $15). Otherwise (out of 60 subjects), they never give anything. (The use of chips is interesting – it adds to the plausibility of the stealth-experiment case, but it’s also pretty well known that using things further from physical cash makes people less loss-averse and perhaps more loose – see Club Med beads and carnival tickets). Anyway, as Kurzban points out, the Dictator Game was originally only used as a control for the effect of being in an experiment, for the more interesting Ultimatum game, where the person choosing the split can have it vetoed by an offended recipient of a too-low offer (in which case neither get anything). It’s certainly a valid control – this is just a reminder not to get too optimistic about how altruistic people are to genuine strangers (rather than their fellow lab-rats).